There’s a chance Obama could be making a future appearance on the show Black-ish. 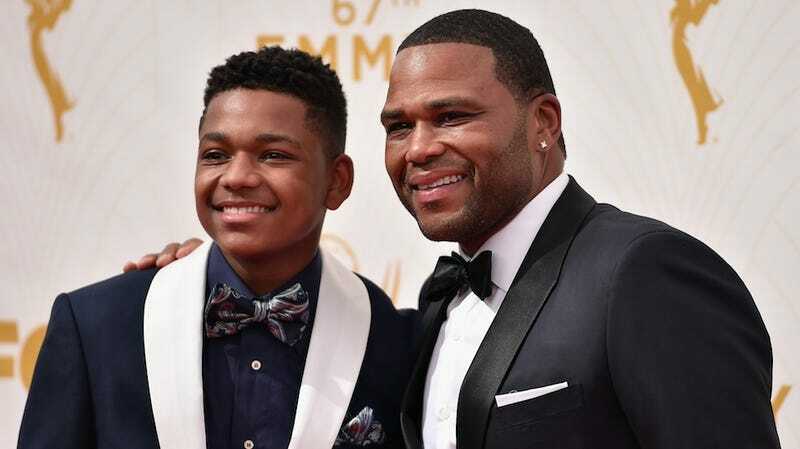 Anthony Anderson told E! he was petitioning for the president and first lady to guest star. “They watch the show. They love it. We know them so we’ve been dealing with them and their people and hopefully they’ll say yes.” Anderson found out they were fans of the sitcom during a visit to the White House back in January. Anderson remains cool about his success. “Who would have thought I would be like, ‘You know, we’re talking to POTUS about being on our show,’ while I’m on the red carpet at the Emmys because I’m nominated for that show?” he said. Anderson snagged an Emmy nom for Outstanding Lead Actor in a Comedy Series, but lost to Transparent’s Jeffrey Tambor. Something tells me he’s probably okay with the loss, especially if he gets the president to swing by his set.